We have 25 years experience. At the Morris County, NJ divorce law firm of Heymann & Fletcher, Esq., our trial lawyers are comfortable and effective in the courtroom. We also have divorce attorneys specially trained in family law mediation, which can save you time and unnecessary legal fees. We know you have a busy schedule and your time is valuable. That's why we offer Saturday hours by appointment. We can also arrange appointments outside regular business hours mid-week and outside the office when necessary. We know that choosing a divorce law firm or legal counsel in any matter is a financial commitment. If you are concerned that you cannot afford a lawyer, call us now to set up a free initial consultation and candid discussion about the costs associated with hiring an attorney. In many cases we can work with you to create a payment plan that suits your situation. 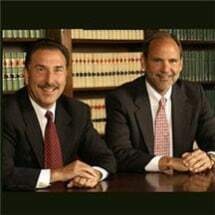 Heymann & Fletcher's attorneys are active in the larger New Jersey community and in areas that concern the health and welfare of the Morris County community. We invite you to learn more about our law firm's community involvement through the links below. JDRF (Juvenile Diabetes Research Foundation) is the leading charitable funder and advocate of type 1 (juvenile) diabetes research worldwide. The mission of JDRF is to find a cure for diabetes and its complications through the support of research. For over 20 years Heymann & Fletcher has held an annual golf outing benefiting the local chapters of JDRF and other organizations dedicated to finding a cure for juvenile diabetes. Interested in being a part of next year’s outing? Call us now or click here to learn more about juvenile diabetes. BWLAP is a joint effort of the Morris County Bar Association and the Jersey Battered Women’s Service, Inc. (JBWS) to provide legal counsel to those victims of domestic violence who “fall through the cracks.” That is, those women who cannot afford to secure private legal representation, yet who are not poor enough to qualify for representation through the Legal Aid Society. At Heymann & Fletcher we believe that everyone should have access to competent legal counsel. We donate time to provide free legal advice at clinics sponsored by JBWS. Click here to learn more. The New Jersey Citizens' Coalition for Cures (NJCCC) is dedicated to educating the public about the importance and potential benefits of increased public funding for biomedical research, promoting New Jersey as a leader in biomedical research, and advocating the increased public funding of biomedical research, including both embryonic and adult stem cell research, in New Jersey.